The sky was blue and then dark clouds moved in, threatening to rain on the cemetery. But, they left only a few drops. 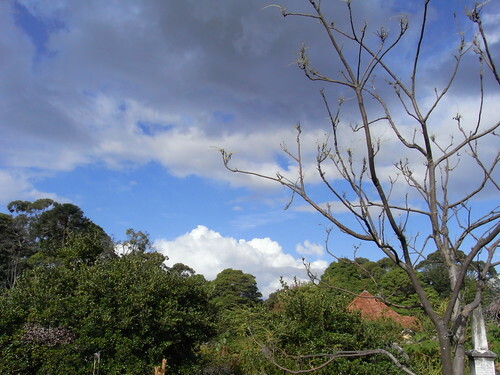 This entry was posted in Photos and tagged cemetery, clouds, photo. Bookmark the permalink.